.Note: this direct to consumer article is updated for 2019. The growth of the Internet has opened the door for manufacturer to consumer, or direct to consumer (DTC) eCommerce. That’s exactly what today’s digital-savvy automotive parts buyers want. Manufacturer-to-consumer as a sales channel is on the rise, along with paid search for manufacturing. Manufacturers obviously benefit from better profit margins when they sell direct, too. 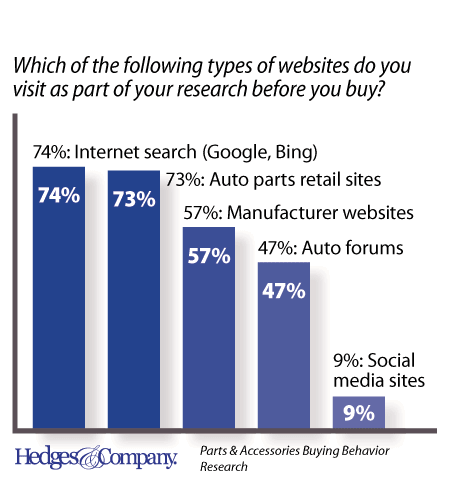 Hedges & Company research shows consumers actively visit manufacturer websites as part of the shopping process. 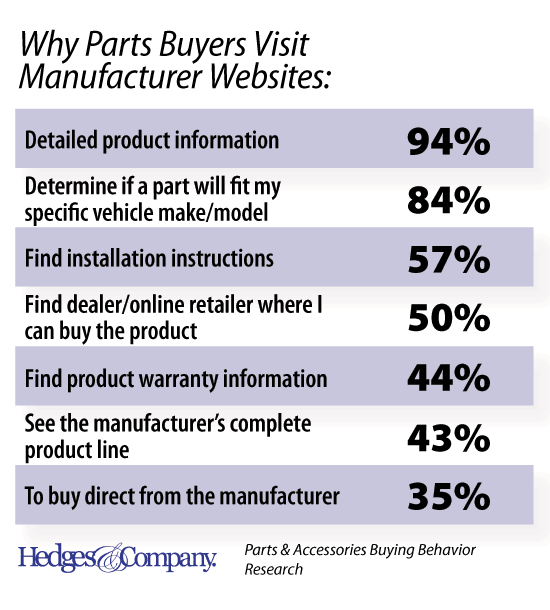 Research shows 57% of auto parts buyers visit a manufacturer’s website while shopping. This was up from 43% who reported visiting a manufacturer’s website in a 2013 auto parts purchase study by Millward Brown and Google. Market research shows consumers want to interact directly with brands. 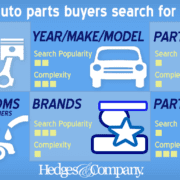 Auto parts buyers like to do their own research and form their own opinion about a product or company. Consumers no longer depend solely on retail outlets, online or offline, as their main source for product information. Here are the top three reasons. They want to get detailed production information 94%; or, determine whether the part would fit their vehicle 84%; and to get installation instructions 57%. Manufacturers must respond to this change. They must adapt their marketing strategies to take advantage of the revenue opportunities of direct to consumer eCommerce. Direct to consumer brands also have a closer connection with their customers. Manufacturers can build a direct-to-consumer DTC channel by taking advantage of today’s marketing best practices in three main areas. Digital marketing technology, online marketing search behavior, and content marketing. The Internet makes it possible to be accessible to potential customers 24/7. Direct to consumers lets manufacturers go beyond traditional reach and frequency metrics. Manufacturers reach consumers interested in the types of products they make. This is true even if they aren’t familiar with them or their brand. 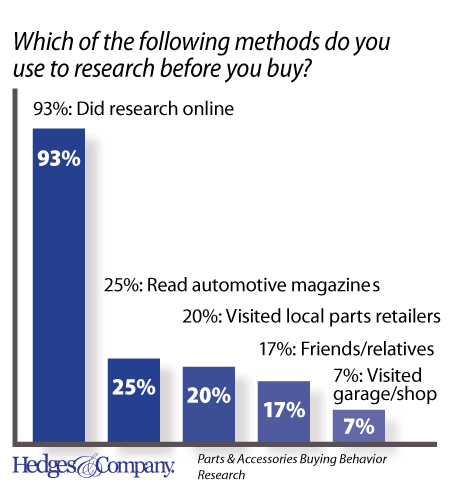 Hedges & Company research showed 85% of parts and accessories buyers did research before buying and of those, 93% went online as part of their shopping research. Digital marketing offers companies an unprecedented level of precision in the ability to target and customize ads, and impressions to reach their best customers along with the flexibility to quickly change and react to new marketing opportunities. Digital marketing isn’t constrained by a particular subscription base, broadcast time, publication date or pre-defined demographic profile. This makes it different than other traditional marketing channels. Age isn’t a bias in digital marketing, either. Research by Hedges & Company showed active online search behavior in all age groups, including those 65 years and older. The study showed the types of websites visited were similar by age groups as well. The most notable difference is that more respondents under 54 spend time on social media sites and in automotive forums than those 55+ years old. To ensure buyers find your company or brand when shopping online, it’s important to understand how they search the Internet. Consumers search for ideas, solutions or products. Phrases containing three or more words are called “long tail keywords.” These are used billions of times online each day when shopping for parts and accessories. Online parts buyers search using six common search types: Part type searches such as “pistons” or “gaskets”; year, make and model searches such as “2014 Ford F-150”; part function searches such as “turbocharging”; part symptoms such as “radiator leaking”; searches for specific brand names; and part number searches. 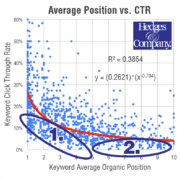 Many of these search types use long-tail keywords. 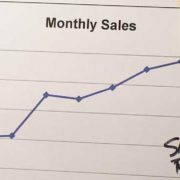 Manufacturers using online paid search marketing with anything less than several thousand long-tail keyword phrases are limiting their marketing message to perhaps 10% of the total market. For this reason it important to do an audit of your online marketing and make sure you’re showing up for these common search types and for long-tail keywords appropriate for your products and fitments. Research shows consumers visit manufacturer websites to gather specific purchase-related information. This includes detailed product information and specific vehicle make, model or year information. Despite this, too many manufacturer websites still have minimal product information. In some cases maybe a few bullet points and cumbersome website search or navigation. This makes it difficult to “close the deal” with these high-purchase-intent consumers. This can send them off to search for other brands on other websites. Any company that can help a consumer decode the confusion by simplify the buying process will win the sale. This means making it easy for consumers to find what they want and need in order to make a buying decision. If you do that most times you will get the order, regardless of price. The lack of product information has a downside besides losing the sale. Product pages with minimal information are called “thin content” pages. These pages don’t have much content indexed by search engines. This means these pages do not show up for organic, or non-paid, online searches. This is important consumer search activity, which brings consumers to a website. Any company that can help a consumer decode the confusion by simplify the buying is more likely to win the sale. This means making it easy for consumers to find what they want and need in order to make a buying decision. If you do that more times you will get the order, regardless of price. 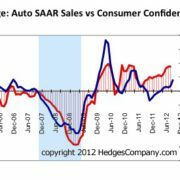 The data in this article is based on Hedges & Company market research. Over 1,100 consumer responses were collected from an online survey sent to over 100,000 randomly selected auto parts consumers in North America. Respondents were screened for parts and accessories purchase history and decision making ability. 80% of the respondents purchased a part or accessory in the past month. Let’s have a conversation on direct to consumer eCommerce, click the button below to contact us!